Alcoholism is one of the most dangerous types of substance abuse for several reasons, and it’s essential for everyone to know the early signs of alcoholism. Alcohol is one of the most deadly addictive substances in the world, but it does not carry the same social stigma as drugs like heroin and cocaine. This leads people into the false belief that alcohol isn’t as dangerous as “harder” drugs. Learning how to spot the signs of alcohol abuse starts with learning the behaviors most often associated with hiding or enabling an alcohol problem. For example, a coworker always goes to a specific bar every Friday night, drinks to excess, and then takes a taxi home. Over time, the coworker starts doing this on work nights and somehow manages to maintain acceptable work performance. This is not a tenable situation. Eventually, the employee’s drinking habits will collide with work responsibilities, opening the door to many negative possibilities including injury, ostracism, legal problems, job loss, or financial ruin. High-functioning alcoholism typically begins with social settings or ritualistic behavior, such as a weekly visit to a bar. This type of alcohol abuse can also apply to individuals who consume excessive amounts of alcohol on occasion, such as birthday celebrations, vacations, weddings, or holiday parties. Most high-functioning alcoholics develop a pattern of occasional binge drinking that evolves into regular binge drinking, and then constant drinking and full-blown alcoholism. Watch for irregular behaviors, such as being unusually disappointed or frustrated about breaking plans to drink, or appearing too focused on drinking during social gatherings. Listen for phrases indicating the individual believes he or she cannot enjoy a good time without drinking. All of this evidence should clue you into a blooming alcohol abuse problem. People with developing alcoholism often binge drink to excess and alcohol poisoning is a common result. Consuming too much alcohol at once can send the body into toxic shock, a potentially life-threatening condition. If you notice a friend or loved one has had multiple alcohol poisoning episodes in recent months, this likely indicates a dangerous pattern of binge drinking. Eventually, a high-functioning alcoholic will be unable to function at maintainable levels and start feeling the effects of addiction. This is generally the best time to consider researching alcohol treatment centers before things get any worse, but every person struggling with alcoholism needs to acknowledge the problem before recovery can start. An unaddressed alcohol addiction will eventually wreak havoc on the body and mind. Alcohol damages the brain in several ways and interferes with various internal organ processes. Over time, this can lead to life-threatening conditions like liver disease, heart failure, and fatal brain damage. A person struggling with alcohol abuse will suffer financially and socially as well as medically. Job performance will inevitably decline, and expenses for alcohol purchases and all alcohol-related expenses, such as fines, lawsuit settlements, and debt collections will pile up into a financial nightmare. Friends and family who have experienced the negative effects from alcoholism may withdraw from the support system, isolating the struggling individual even further. Over time, alcohol abuse will lead to tolerance or a resistance to the effects of alcohol. As a result, the person struggling with alcoholism will require larger quantities of alcohol to feel the desired effects, and he or she will begin to experience the symptoms of alcohol withdrawal. If you notice withdrawal symptoms in a friend or loved one, it’s vital to start a conversation about seeking treatment. Alcohol withdrawal entails potentially life-threatening symptoms, especially for individuals struggling with extreme alcoholism. 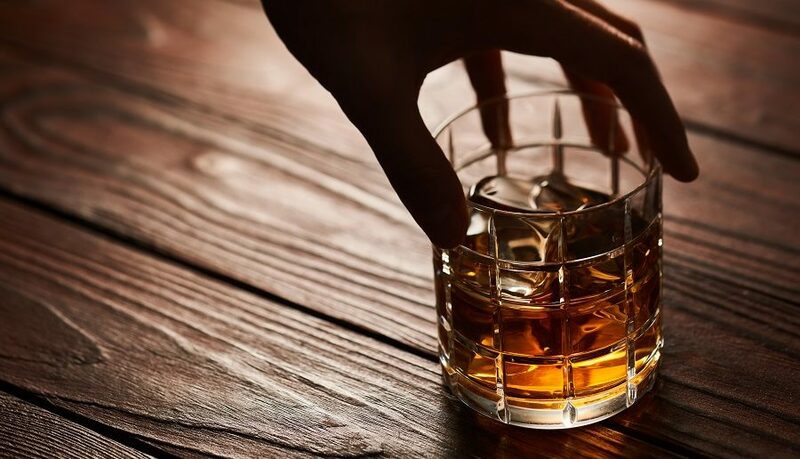 Withdrawal usually sets in within eight hours of the last drink, and it will start with intense cravings for alcohol, mild depression, disorientation, and mood swings. People with advanced alcohol abuse disorders will also experience trembling or shaking until they have another drink. Within 12 to 24 hours, withdrawal progresses to more severe symptoms including stomach pain, nausea, vomiting, confusion, and irregular heartbeat. Alcohol withdrawal symptoms will peak within 72 hours of the last drink, and advanced alcoholics may experience a life-threatening condition called delirium tremens, or the DTs. The DTs can cause severe seizures, vivid hallucinations, increased heart rate, and violent convulsions. One of the best methods for addressing an alcohol problem is to taper off of alcohol gradually over a period of weeks or months. If doing this is too difficult, or withdrawal symptoms appear too intensely, an inpatient treatment program is probably the best course of action. If you can withstand tapering off from your usual alcohol intake, any progress in this regard will make the detox process much more bearable. During medically assisted alcohol detox, medical professionals provide constant supervision, pain medication, and other therapies until detox completes and the patient has no more alcohol in his or her body. Tapering your alcohol intake before detox will make withdrawal symptoms fade more quickly once you complete detox and reduce the likelihood of severe symptoms like the DTs. A comprehensive alcohol abuse recovery program is the best method for treating alcoholism. The old days of 30 days of rehab before going back to work are over, and modern substance abuse treatment professionals know that a more comprehensive continuum of care offers a better chance of achieving lifelong sobriety after alcoholism. During rehab, patients learn how to confront the underlying issues at the root of their drinking problems and manage environmental stressors and triggers with healthier coping mechanisms. A continuum of care should also include relapse prevention techniques and transitional services once rehab finishes. Reflections Recovery Center offers robust alcohol abuse recovery services in Arizona for men from all over the country. We understand how difficult it can be to taper off your alcohol consumption or to watch a loved one descend into alcoholism. Consider which warning signs of alcohol abuse you’ve seen among friends and loved ones and then contact Reflections Recovery Center for more resources and information about our treatment program.